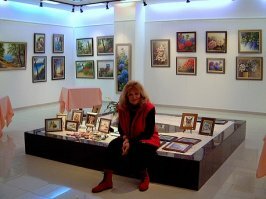 I gladly thank everyone who visited my gallery, commented, faved or journaled my works in the meantime. I hope to have your understanding that I'm unable to respond and thank all of you individually. (Я с удовольствием благодарю всех, кто посетил мою галлерею, прокомментировал. I am very flattered. I also looked around your site, and even though I could not read the Russian parts the site felt really nice.